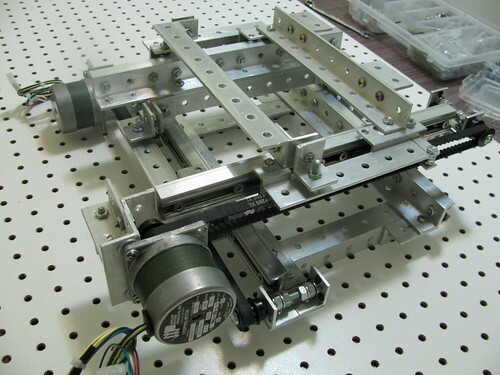 This is a simple belt driven XY table. It's can move fairly fast, e.g. 300 IPM (130 mm/s). Axis travel: 5" in X and Y. Assembly time: approx 3-4 hrs.